When I was roaming the Willamette Valley back in 2010 I had already fallen in love with Oregon's Pinot Noir. I'd become pretty smitten back in 2005, a few years after moving across the country to the Pacific Northwest and discovering wine. 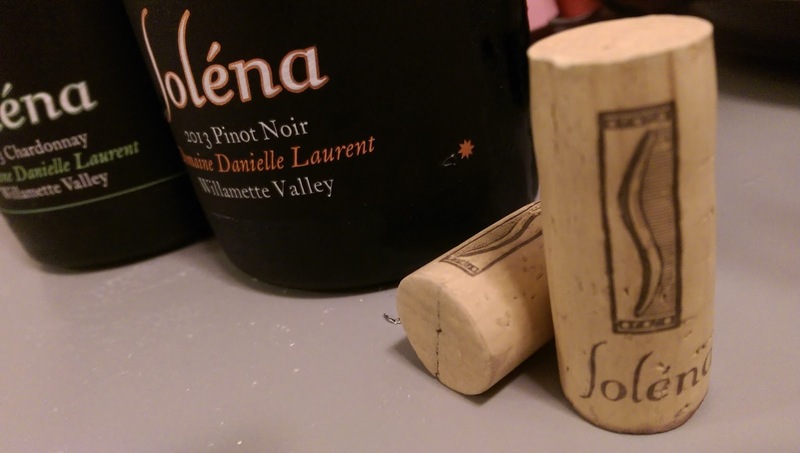 It was in 2010 that I fell in love with a vintage, the much maligned 2007 Oregon Pinot Noir. It was not an easy year for grape growers and vineyard managers. A cooler vintage with a a mild summer was further complicated by a deluge of rain. What happened then was the determining factor; did the wines become a huge mistake, or were they other-worldly delicious. Those who waited out the rain, as opposed to picking too soon were well rewarded. While the vintage was a bit panned in the media, a result of so many of those wines picked too son, those who know get it, and you'll find several of us who note this as our favorite vintage from Oregon, ever. For me, the well made wines of 2007 have become a sort of archetype of cool vintage, cool climate Pinot Noir. For me that vintage is quintessentially Oregon and the Willamette Valley. It's my favorite, in spite of 2010, and 2011, the latter maybe aspiring to 2007 but not really coming close in terms of beauty and elegance. As I was tooling through the Willamette Valley I paid a visit to a new facility at Soléna Estate. In my recollection, I knew very little about the label at the time. I was given a short tour of the really impressive facility and then we got down to tasting. One of the seminal moments in that love affair with that 07 vintage came in a few minutes at that tasting bar. The 2007 Domaine Danielle Laurent remains one of my favorites of the vintage. All of their Pinots are quite nice but for the sake of time I have to focus in on the Domaine Danielle Laurent Pinot Noir ($45). I strongly suggest you spend some time with this wine. First off, we had the 2007. The mystery continues for me about how people who supposedly know anything about wine could have poo-pooed this vintage for Oregon Pinot Noir. This wine is beautiful. I picked up some burnt gun powder on the nose. The wines from this estate vineyard, which was a wedding gift from the owners,Danielle & Laurent, to each other, is planted with several different Pinot clones. The wine is handled with kid gloves, and in small lots. Punchdowns are done in rotary barrels and all fermentation is done in small batches. " Domaine Danielle Laurent is the estate vineyard at Soléna Estate, which is a part of a larger operation owned by Laurent and Danielle Montaleiu. It's small at just over 20 acres in the Yamhill Carlton AVA but it produces premium fruit from a few different clones. The elevation is good at Domaine Danielle Laurent, topping out at shy of 700 feet on Willakenzie soils. 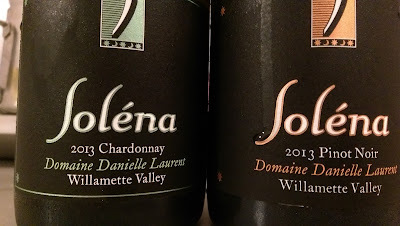 The wines coming out of DDL (my abbreviation) exude an elegance, and that was certainly emphatic in the 2007, there's a accented quality in the Soléna bottlings, despite the Montelieus having their hands in a lot of different pots. In addition to Soléna Estate, they produce another label Hyland Estates and the custom crush NW Wine Co as well as at least one value label making Willamette Valley wines under $20. The quality on this label and the wines from the DDL vineyard in particular remains quite high.